Complete the form to start interactive demo. Are we too large for SAP Business One? We have 100-150 users. Not necessarily. SAP Business One is steadily increasing its market share with larger customers over the competition. Currently, 10-15% of new SAP Business One customers have 150 or more users. Are we too small for SAP? Probably not. Even a small business will have big business challenges and there is no reason that a small company can’t take advantage of large company solutions. We often take QuickBooks-based companies to the SAP platform. SAP Business One is specially designed for Small to Mid-sized business. It is easy to implement and easy to maintain, yet has the ability to scale to meet your growth and changes in your business environment. As an executive, how much of my time will be needed for a new system? This will be a big change to your organization, and the people will look to you for direction. It’s important to be clear in the direction to cut over to the new SAP system. How expensive is this solution? The key is not how much our solution costs, but how much it is worth. Cheap solutions don’t solve problems, and may actually cost more to work around their limitations. We typically provide ROI assessments for our customers that help them understand Cost vs. Value and justify an investment in SAP Business One. As always, we believe in a more scientific approach. With QuickBooks, I can drill down from my financial reports for additional detail. Does SAP Business One allow me to do this? You can do the same with SAP Business One. In fact, financial reporting capabilities are one of its strengths. Cockpits, dashboards, and KPIs are available throughout the system. You can drill down from any one of these. Many of our users are on iOS devices. 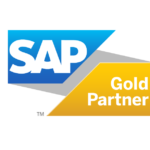 Is SAP Business One compatible? With almost 60,000 customers globally, we need to support multiple operating systems, including Windows and iOS. Using browsers, mobile devices, or remote desktop, we can meet each user’s requirements.